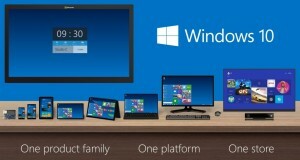 Microsoft has finally come out with an official launch of Windows 8 in an event in New York City on 25 October, 2012. Microsoft made Windows 8 available worldwide in 140 markets and 37 languages exactly on 26 October at 12:01 am. Consumers and business worldwide can now download Windows 8 from the website or can buy copies from the retail stores. Windows 8 is available in two primary versions, i.e. 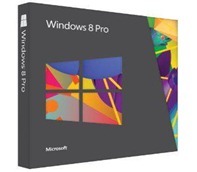 Windows 8 and Windows 8 Pro as well as Windows 8 Enterprise for large organizations. The event was started & presented by Steven Sinofsky, president of the Windows and Windows Live Division at Microsoft, and Steve Ballmer, CEO at Microsoft. The launch event was kept short and focused to demonstrate how Windows 8 is the next big change in Windows and PC-Based System. Steve Ballmer tried to demonstrate and highlight Windows 8’s new features. Sinofsky said that there will be more than 1,000 certified PCs and tablets, including Microsoft Surface, that will be priced at under $300 making it much cheaper than some leading tablets. In addition to Windows 8, Microsoft also announced Windows RT. Windows RT will come preloaded on ARM Devices such as Microsoft surface tablet. Windows 8 is available for upgrade at $39.99 for system which are currently running on Windows XP, Windows Vista or Windows 7. 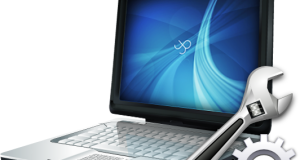 There is some upgrade offer going out for people who have just bought Windows 7 PCs later than June 2, 2012 i.e. If You bought Windows 7 system between June 2, 2012 and January 31, 2013 then you can upgrade to Windows 8 at just for $14.99 only, offer available at http://www.windowsupgradeoffer.com. You can also buy Windows 8 DVD Copies from retail stores at just $69.99. Microsoft also came up with promotional video on the same day, showing how people are desperately waiting around the world for Windows 8. Interesting video Check out! !